To call modern game development risky is an understatement. It’s no secret that developers are investing big and losing their shirts over it. Budgets and team sizes are swelling while sales expectations are dropping. For some reason we’ve been working to ape our brothers and sisters in AAA game development and focus on polish and marketability. But why? Games don’t have to tell sweeping narratives spanning tens of hours, sometimes they can take an intimate experience and share it in 15 minutes. 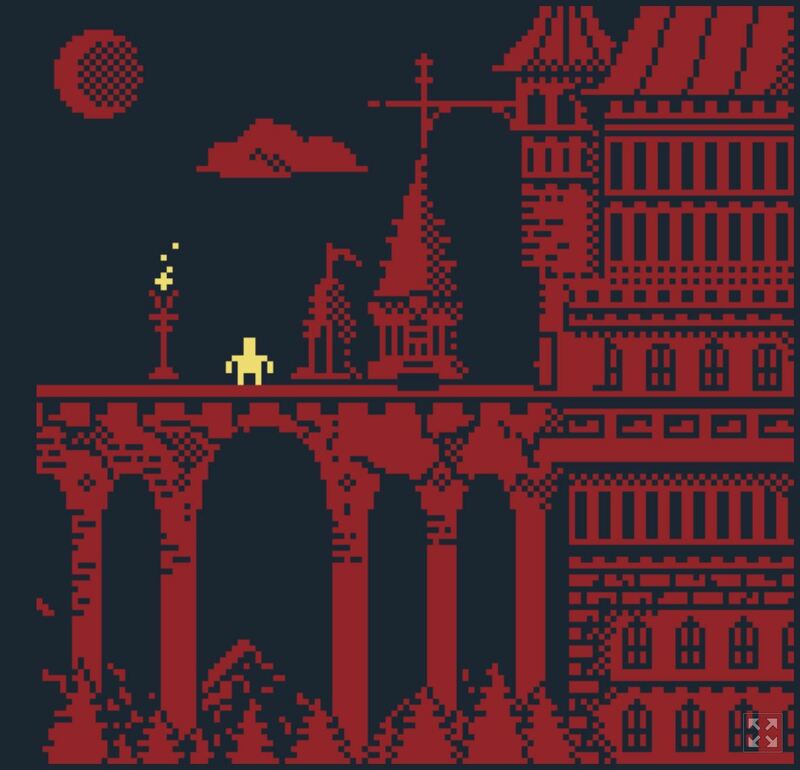 I’ve recently fallen in love with Bitsy games. If you’re not up to date on your game editors, here’s a crash course: Bitsy is an expressive game editor that forces tight constraints on the developer. The strengths of Bitsy come from these core limitations. I’ve never seen a Bitsy game that could be mistaken for a multi-million dollar project, but I could point to dozens of small and interesting experiments that affected me and judging by the number who download some of these games, they’ve affected plenty of you too. Bitsy is also accessible. 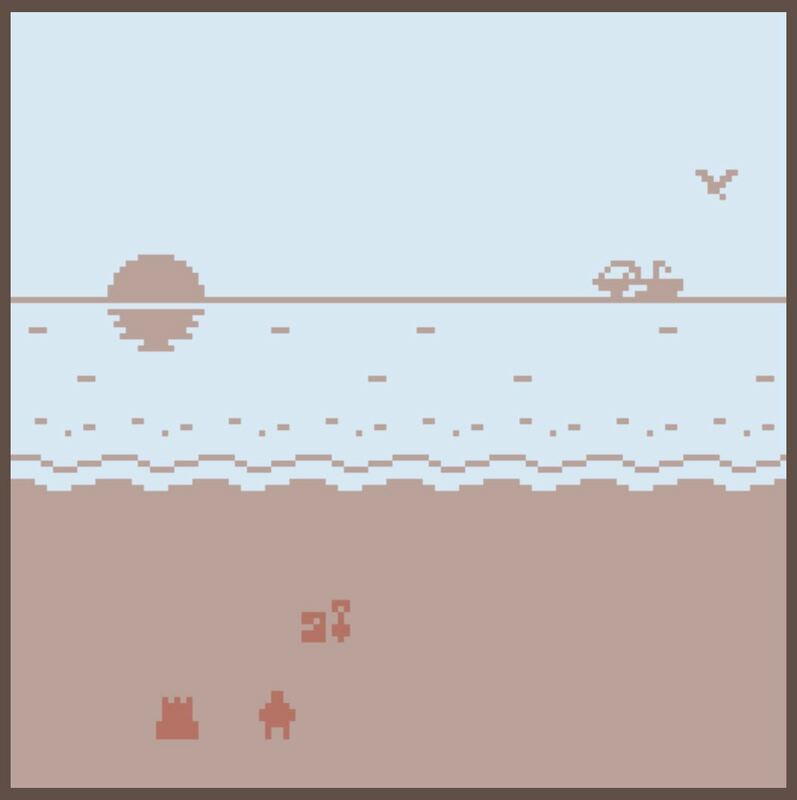 If the frequent Bitsy jams are any indication games can be developed in as little as a weekend, and the gulf in quality between jam games and full-on Bitsy releases is narrow. With the limitations inherent to the engine, the usual hallmarks of polish (graphics, gamefeel, length) hit their ceiling very quickly. But none of this is a bad thing. By stripping away the padding and veneer of polish, these games say what they need to say and nothing else. Sure there will always be a place for mass-market experiences, but let’s also place value in intimate conversations between developer. Let’s look toward games that don’t stretch on for 100 hours but ones that can be completed on your lunch break. Profit and acclaim aren’t foregone conclusions in this model either. We’ve featured Everything is Going to be OK several times on this blog, and it made it onto IGN’s Game of the Year list, and according to some resources Gone Home and Tacoma have sold hundreds of thousands of copies. This isn’t to say that every game needs to be made with Bitsy (engines don’t necessarily determine what games are made on them) or that every game has to last less than an hour, but I think we can take a look at the strengths of these projects and learn from them, and more importantly: learn to value rough experiences that come directly from developers without being dressed up by a marketing machine. We should make a game in Bitsy and see how hard we can push the game engine. The buyer/gamer/player/consumer is NOT required to support such a bloated industry where every dork with a keyboard and RPG Maker thinks they're a game developer. The market will be healthier if players refuse to support those who do not produce the kind of experience that the specific player is looking for. Games can be niche and target that niche, but that doesn't provide any obligation for people to 'support game devs'. The market is tough and life is tough and too many game devs don't realize that maybe they should consider getting a regular job and just use game dev as a hobby. Not everyone gets to make a living from their hobby. Tough cookies. I'm all about supporting indie devs but I'm also about doing what is best for the overall gaming market. We're heading towards another 'crash' and the mobile market is already starting to contract sharply and mobile indie studios drop like flies. EDIT: 14 dislikes? Seems I made a lot of terrible indie devs cry many salty tears; I am amused. Maybe they can go get a fast food job instead of thinking they have any game development talent. I think I'm going to start a charity on providing garbage indie devs with fast food jobs. It's okay to be critical of the game industry but remember that diamonds are found amongst even the worst games out there. A lot of games seem to be one-dimensional but even some of those games are worth trying. More games means less profit for those who cannot be found and those who try to make an impact sometimes get lost amongst the lesser games but the industry is thriving and there's no incoming crash anytime soon. Try one of those 'ugly' games or one of those 5/10 games. You'd be surprised at how good they actually might be. Big name AAA games are usually one-dimensional and tunnel-visioned. Zelda: Breath of the Wild gets great reviews but the gameplay doesn't feel right when you look back at older Zelda masterpieces. No game is innately bad but some game developers have waning focus on the core of their game. Final note: Make YOUR game, not someone else's. Be unique and spread awareness of your game and why it is good. TLDR: Rough games deserve nothing more than to be ignored, forgotten, and thrown to the bottom of the trash pile with the rest of the substandard trash. I stand by this statement despite all the salty indie devs disliking my posts because I speak the harsh truth that these devs have always known after wasting months/years of their life on fruitless and unprofitable endeavors. You present a reasonable point and I respect that. I don't agree with your point but I am glad you present it in an amenable fashion. I grew up on NES games so 'diamond in the rough' among piles of trash is what I'm already used to. Shatterhand is one of those. Can't tell by the generic 80s cyber-guy cover that it was possibly a knockoff of Bionic Commando or something but it was REALLY good, like AMAZINGLY good. So I'm absolutely familiar with that concept. But my point is that the market is FLOODED and there is ZERO ROOM for 'trying out' substandard games. The standards of average gamers should rise and anything not meeting those standards should not even be considered worthy of the time to click on it. Forget it and move on. It is nearly-impossible to make the time (and money) to try out every subpar game or every quirky indie title. There are not enough hours in the day or years in the average human lifespan. Even those who literally play games for a living can't keep up with it and they experience burnout eventually (unless of course they're making $120k+ a year doing a once a week edited video sprinkled with a bunch of half-assed low-effort 'impressions' videos in between). I would love for there to be more tightly-curated storefronts available like GoG that weed out the trash and only allow the treasures to rise to the top. The best of the best. Not EVERY game on GoG is worthy of their listed price but they do sales and promotions quite often. I enjoy it and I gladly throw money at them for doing so. My favorite site has to be the Humble Store. They only take a 10% cut and do similar things to both GoG and Steam while also giving generously to charity. I love that and I gladly support it. So many indie devs I've talked to have not bothered to consider putting their games on GoG, Humble Store, itch.io, Indiegala, or other sites. Instead, they'd rather throw tens of thousands of keys into these scummy grey-market botter & card-farmer lesser-known sites for 'exposure' for their game by letting those bastards buy it for pennies to the dollar. Rarely do they end up with the exposure that they want/need. The fundamental fact is that it is a consumer-first market. Every indie dev thinks their game is worthy of X amount of money and the majority of the time they are completely wrong. Their bias ends up coloring their perception and they don't want to admit that they wasted their time making games when they should've just done a regular non-gaming job (or even just software development) and gotten a steadier paycheck. Gaming is for everyone but (commercial) Game DEVELOPMENT is NOT for everyone. Neither is coding despite all the 'STEM' money-sinks that taxpayer money has been wasted upon. If people want their kids to be interested in STEM stuff then that has to come from the parents first and foremost. We are working hard to produce a unique and quality RPG that we hope will shape the industry. and set it back on track. We do feel that saying that now is much too early to say for sure but it will be different than other RPGs on the market. It'll be cleverly written and we'll try to make it very enjoyable - although short - there'll be quite a few things that people will notice right away. If you want to share thoughts on the product then keep in touch with us. The community matters and all feedback will be respected. That said, as professional game devs you should know the basics. -Random encounters are frequently done wrong/poorly but the mechanic itself is not inherently bad. Honestly though I'd prefer visible enemies without random encounters and I'm sure a majority of others would feel the same way. There are plenty of RPG Maker articles on random encounter design but essentially: variety is the spice of combat. If there is no variety or no NEED for variety (spam attack) then that encounter is a waste of time and shouldn't be there (or should be bypassed with auto-completion & auto-rewards like Earthbound). Our plans include: visible enemies, no random encounters, boss battles, optional story segments, support for speedrunners, and over 20 beasts to befriend. Y'all are such good people. It's important to validate small games, thank you for doing so.